Too bad, kiddo. As the plutocrat said, life is not fair. Stop blubbering. Just because you’re only 9 years old doesn’t mean you don’t have to go out there and earn money for your family. New York City was not exactly hospitable territory for Rudolph Schware’s parents, but a refuge from the knout and pogroms of the Czar. At the hearing petitioner (Rudy) called his wife (Betty), the rabbi of his synagogue, a local attorney and the secretary to the dean of the law school to testify about his character. He took the stand himself and was thoroughly examined under oath by the Board. His counsel introduced a series of letters that petitioner had written his wife from 1944 to 1946 while he was on duty in the Army. Letters were also introduced from every member of (Rudy’s) law school graduating class except one who did not comment. (Judas?) And all of his law school professors who were then available wrote in regard to his moral character. The Board called no witnesses and introduced no evidence. . . . (Rudy) was born in a poor section of New York City in 1914 and grew up in a neighborhood inhabited primarily by recent immigrants. His father was an immigrant and like many of his neighbors had a difficult time providing for his family. Schware took a job when he was nine years old and throughout the remainder of school worked to help provide necessary income for his family. After 1929, the economic condition of the Schware family and their neighbors, as well as millions of others, was greatly worsened. (Worsened! What is this, a sick joke? They were nearly starving, and then came the depression?) (Rudy) was then at a formative stage in high school. He was interested in and enthusiastic for socialism and trade-unionism (Of course!) as was his father. In 1932, despairing at what he considered lack of vigor in the socialist movement at a time when the country was in the depths of the great depression, he joined the Young Communist League. I pause here. Rudy’s death is not just the loss of a beloved man but it marks the passing also of the vestiges of a forgotten national epic. Rudy’s youth moved through a dark but thrilling milieu beyond present-day conception. recesses of archives, never to be discussed meaningfully again. They are more distant from national consciousness than, say, “Tippecanoe and Tyler too”. Only people Rudy’s years endured and shaped those events and connected you with them. What Black referred to were years of waxing and waning of the socialist movement in the nation (in the early 20th century, 13 Colorado towns had socialist mayors; in 1920 Debs ran for president from prison and got almost a million votes; Colorado’s own Big Bill is buried in the Kremlin) followed by an upheaval spawning the Communist Party USA, without which the CIO would not have existed. In 1934 he took part in the great maritime strikes on the west coast which were bitterly fought on both sides. (As Rudy marched toward the shipyards locked arm-in-arm with his comrades, the workers to his immediate right and left were felled by bullets. Rudy was unscathed. He told me in his last hospitalization, that he apparently had led a charmed life. For example, when he was on leave from his ship, it sank with all hands lost.) While on strike in San Pedro, California, he was arrested twice on “suspicion of criminal syndicalism.” He was never formally charged nor tried and was released in each instance after being held for a brief period. He testified that the San Pedro police, in a series of mass arrests jailed large numbers of the strikers. At the time of his father’s death in 1937 Schware left the Communist Party but later he rejoined. In 1940 he was arrested and indicted for violating the Neutrality Act of 1917. He was charged with attempting to induce men to volunteer for duty on the side of the Loyalist Government in the Spanish Civil War. (Americans volunteered for the International Brigade in the first Armageddon against the fascists. “Madrid, your tears of sorrow,/ Madrid, your tears of sorrow,/ Madrid your tears of sorrow, mamita mia,/ we shall avenge them/we shall avenge them!”) Before his case came to trial the charges were dismissed and he was released. He was honorably discharged from the Army in 1946. A solicitude for others is demonstrated by the fact that he regularly read the Bible to an illiterate soldier while in the Army and law to a blind student while at the University of New Mexico law school. The New Mexico Board was instructed to let Rudy take the bar exam. Meanwhile, in 1954 Rudy had fled an increasingly threatening environment for his family in New Mexico, and resided in Denver. The Bar of New Mexico thumbed its nose at the Supreme Court: Rudy lacked the residential requirements for admission and refused to sign a newly required affidavit that he was not now and never had been a Communist. “Take that up to your Supreme court,” they sneered. Rudy opted for admission to the Colorado bar. A tap on the shoulder. “Mr. Schware, would you step down the hall to my office?” “Mr. Schware, you crossed out the question about being a Communist on your application. We’ll let you take the exam, but that doesn’t mean you’ll be admitted.” But, when all was said and done, Rudy was admitted in 1960, a full ten years after being admitted to law school. He was 47. With Betty as his secretary, Rudy established a thriving general practice. He was particularly talented in business law — no contradiction; psychological studies show Socialists and Republicans have attitudes more in common than supposed. It is liberals with whom their personalities most differ. Unlike the Republican archetype, however, it was the warmness and kindness radiating from Rudy that most struck you. No matter what the legal case, Rudy was always thorough and driving. His great passion, naturally, was to advance social justice. His greatest struggle was to sustain that advance through prolonged periods of issue-malaise. The National Lawyers Guild is an example. Interest and membership in the Guild, issues-driven as it is, is cyclical. During labor struggles, the war against fascism, the fight against anti-Red hysteria, the Civil Rights movement in the South, the drive against the Vietnam war and the draft and the support of Gay rights, the Guild was vibrant, but during the ebbs between these tides, interest in the Guild has often flagged. Rudy supplied staying-power during the ebb-tides. He was, of course, the founder and backbone of the local Guild and from 1962 was a member of the Guild’s national executive board. To the last he was, by invitation, a member of the United Mine Workers of America, District 12, and the Communication workers of America, Local 7777. From inception, he was on the steering committee of his particularly cherished Colorado Jobs With Justice. He was a member of the National Committee for Independent Political Action, Committees of Correspondence and Labor Party Advocates and many, many other organizations utilizing his experience and wisdom. To impart a flavor of the extent of his commitments: he had been a member of the Lawyers Committee on Nuclear Policy, Inc., the Colorado Campaign for A Nuclear Weapons Freeze, Lawyers Alliance for Nuclear Arms Control, Inc., Citizens for Peace in Space, SANE, Rocky Flats Alliance, TCC Coordinating Council, the Comprehensive Test Ban Treaty Campaign, the Colorado Coalition for the Prevention of Nuclear War, chair of the Colorado Committee to Stop Government Spying, general counsel for The American Servicemen’s Union (later outlawed by act of Congress), counsel to The Committee of Concerned Citizens On Mercenary Activities, co-counsel to the Crusade for Justice, the American Indian Movement, the Black Panther Party, SDS and the Colorado Peace Council in Colorado. He chaired the Colorado panel of over 50 attorneys who were among the national Selective Service Legal Panels which reduced the conviction rate in draft-evasion prosecutions from 97% to 33%. Rudy was a delegate and speaker at the First World Conference Against Apartheid, Racism and Colonialism in Southern Africa in 1977 in Lisbon. While in Paris attending the International Association of Democratic Lawyers Seminar on the Paris Peace Accords in January, 1975, he was asked by the Viet Nam ambassador to France to try to arrange a delegation of Congress persons to visit Hanoi as well as Saigon. He completed arrangements in April, 1975, but later that month the war ended. The scope of his lectures was nationwide at law schools and other colleges and in numerous church and community meetings. Writing in 1994 of these and many more activities to the dean of his former law school, he commented: I hope the above gives a you a slight idea of how I managed to stay young despite various sicknesses and at the same time keep the family fed, clothed and educated. Let the memory of him in the minds of all who care about the down-trodden, impoverished and oppressed stay forever young. We will never see his like again. Addendum by Henry Feldman: As I re-read this, I found myself wondering if Gene was aware, when he said that Rudy remained an active advocate of labor organization to his last breath, how literally true that was. In his last few months he was rushed to the hospital many times. Following one of these trips, I was told by an organizer for CWA Local #7777 and attendant, who were not union members, but were interested. When I visited him at St. Joseph Hospital in the month before his death, he had been talking about union organizing with the nurses aides and orderlies. Betty Kemeny Schware died September 28th, 2016 at her home in the Meridian, Boulder. She was just shy of her 100th birthday, a milestone to which she was eagerly and joyfully looking forward. Her daughter Phachog had given her a license plate sign for her walker that said “Pushing 100,” which Betty found endlessly entertaining, and she directed everyone’s attention to it. She had certainly made the most of her century: born on January 14, 1917, she entered life in a banner year for the world as WWI ended. She spent her early life in the Bellefaire Jewish Orphanage in Cleveland, a place where she found warmth and security. Eventually, however, he became a lawyer in Denver, and Betty managed his law office for decades. She was the realist to his radical-left dreamer; she balanced his conviction about certain political ideals with a down-to-earth insistence on the importance of a financially secure daily family life. She was the realist to his radical-left dreamer; she balanced his conviction about certain political ideals with a down-to-earth insistence on the importance of a financially secure daily family life. 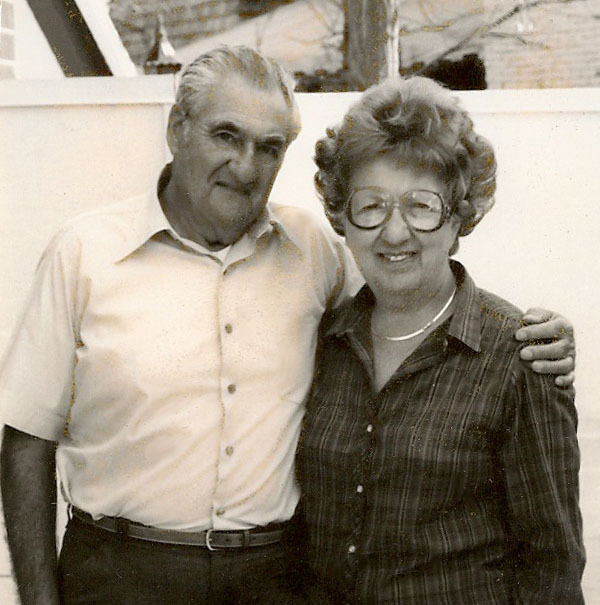 Over time, Bev and Rob married and had children, and Betty was an enthusiastic grandmother to her four grandchildren. A source of deep satisfaction came from her tutoring immigrants in English one on one to help improve their lives. When Rudy died in 1995, Betty dearly missed his presence over all the years she survived him. Betty had an enduring interest in current affairs and politics, and her century went on to include all the more recent events that have marked our time: 9/11, the Middle East wars, increasing awareness of our effect on the planet, among many others. She liked to ask people what they thought of all of these, and, of course, she had strong opinions about the current election process. Her survivors include Phachog, Rob, Alice Trembour, four beloved grandchildren (Jordan, Rosa, Naomi, Shanni), and nephew Ernie. She is also survived by two nieces of Rudy’s, Lily Appelman of Denver and Roberta Katz of New Jersey, who considered Betty the “last matriarch” of their sprawling family. She will be missed by all of them, as well as by her many friends. ← Tiguentourine (In Amenas), Algiers and Washington – A Year Later. Rudy is the reason I finished law school. Was just talking about him to a friend today & found this. Yes, he was organizing right up to the end. Rudy was an amazing man- truly iconic in my view. I was a young union organizer (23 years old) when I met him. He became my self proclaimed mentor. To this day, I don’t know why he took the time (maybe out of pity), but it speaks to his bountiful compassion. He took so many of us under his wing. He proceeded to teach me all I needed to know. I remember once when I was working for Pen Tate that Rudy called & asked me to handle a case for a family he had represented but that day could not . . . I asked Pen if I could go to court on that case & his response was “When Rudy calls you have to go.” I never knew anyone who didn’t admire Rudy, an icon and an idol. I graduated from UNM Law School in 1971 and sought to be licensed in Colorado, my home state, as well as in New Mexico. On the Colorado Bar application, I was asked to list all organizations to which I’d ever belonged. I refused on the grounds that some of the organizations might have been religious and the bar examiners had no business knowing of any religious affiliations and, by extension, of any other organizational involvement. Also said that I would pledge allegiance to the “form of government of the U.S.” as contemplated by the country’s founders; would not pledge to the “travesty of government being conducted” under Richard Nixon. The CO bar examiners gave me a solo interview and wanted to know what was going on at UNM Law School. “Do you know who Rudy Schware is?” they asked? “No”, I fibbed. I had his office address in my wallet and planned to see him if I were refused admittance to the exam. Next day they relented and, to my disappointment, I never met Rudy. I am forwarding this to someone to whom I recently spoke about Rudy over the past weekend. When Rudy died I was out of town or would have attended and was sorry to later learn that his files had been destroyed.